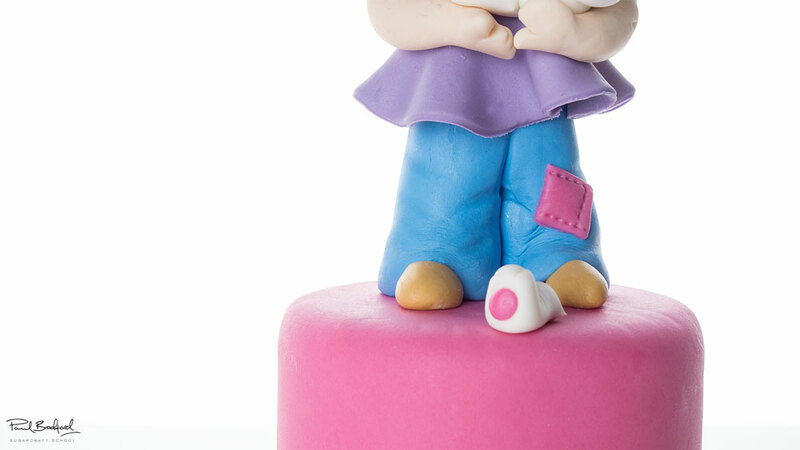 In this lesson, Maisie shows us how to quickly form the legs and body from sugarpaste with the help of a couple of modelling tools and bamboo skewers. Here, we see Maise create cute childlike arms and then shows us how to form her signature head whilst teaching us the importance of placing the eyes in right place. Eye placement is everything. In this lesson, Maisie adds the eyes and then get the paints and brushes out to create the lashes and brows. In this lesson, Maisie shows us a quick and simple way to make the hair and then finishes it off with a cute little bow. Maisie now gives the little girl a cute little teddy bunny to hold and then some extra little touches that finish it all off nicely. Paul shares some other ideas you can try out during this project. We’re sure you’ve some of your own, and we’d love to see what brilliant alterations you’ve made. In this lesson, Paul shares some insider information about the cost of make this cake. He also discusses pricing, portions and other vital information for any professional cake designer. Here, we’ve carefully selected the key parts from the entire tutorial and condensed it into a 10 min long video. More than enough to get you started without taking too much time. For this tutorial, we welcome back the 'Queen of Characters' Maisie Parrish to the PBSS studio. 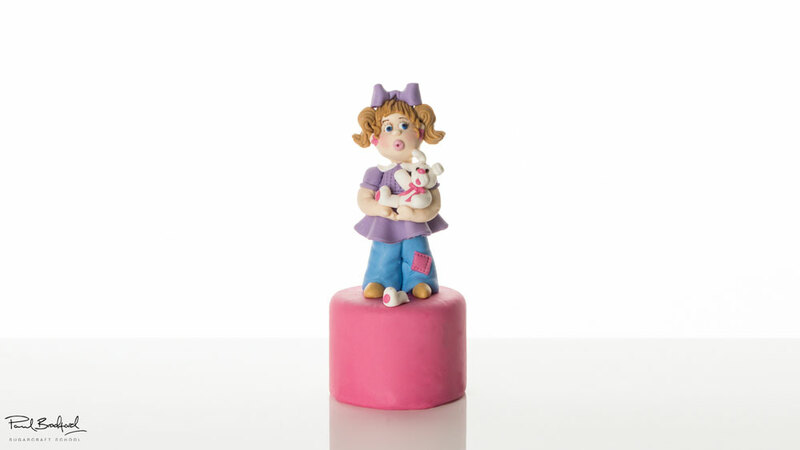 Maisie shows us how to make this cute little cake topper of a little girl who has shown just a little bit too much affection to her toy rabbit. 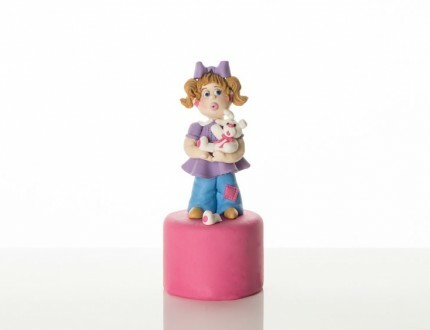 As her nickname suggests, Maisie is an absolute master at teaching how to add personality to your sugar models. 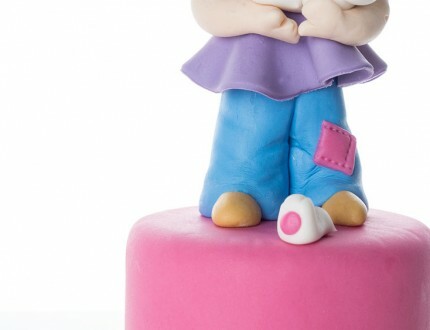 This tutorial is perfect for a beginner cake designer looking to try something new. 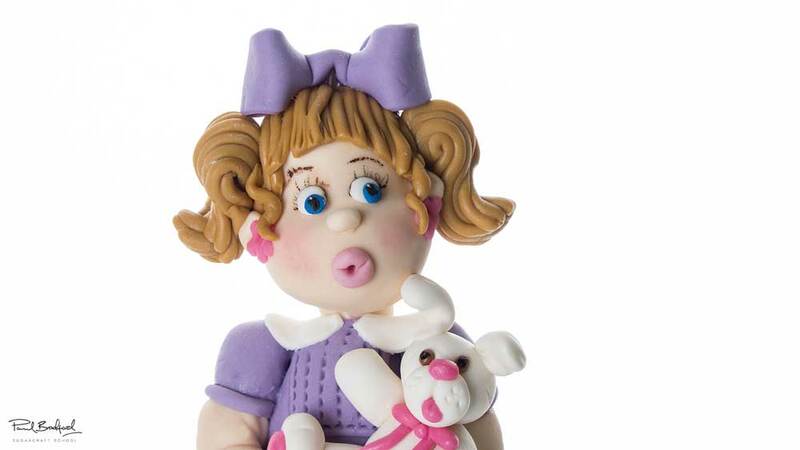 Maisie Parrish is a self taught international sugar artist, who has created a unique style which is instantly recognisable and much copied. People often tell her she has magic hands, and when she begins to work, then something magical does indeed happen. 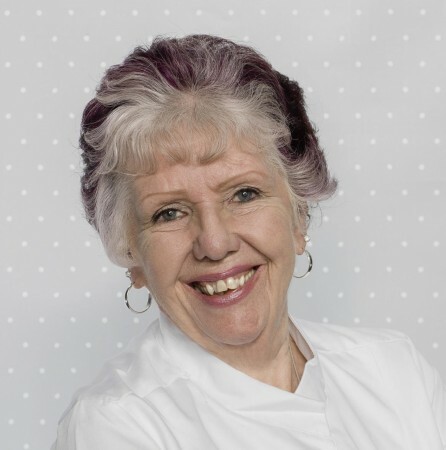 Her work is widely acclaimed, and her fans travel across the world to be taught by her in her studio in Stoke on Trent, where she runs a successful business, teaching, demonstrating, writing books, and making DVD'S and tutorials in order to satisfy the demand from her dedicated followers. 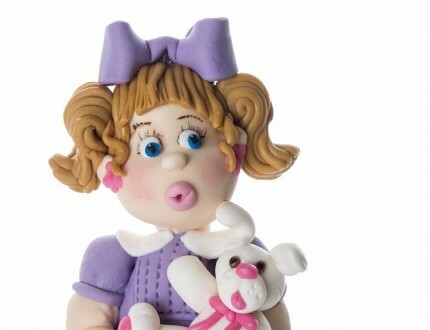 Originally she taught herself how to make cute figures in salt dough, and eventually created the most successful dough craft company in the UK called Maisie Dough. A high point came when she completed two books on this subject, and was asked to create a range for the animation giant Walt Disney in Florida, nothing she did or does ever starts out as a hobby. After being invited to try her hand at creating three dimensional figures in sugar, and the rest is history. People find it difficult to believe that she has never actually baked cakes for anyone, this was never in the scheme of things, because all the work she creates is published. Now with 12 successful book titles, and an amazing catalogue of work, she continues to travel the world making friends and sharing her unique modelling skills. Most of her cakes tell a story, and so the story for the QUEEN OF CHARACTERS continues with great success.